People who start a business rarely accept the limits other people place on them. They take risks, venture into new territory, and do work others wouldn’t consider doing. While the potential for significant loss exists, this strategy can also earn big rewards. With particular types of restrictions, however, you shouldn’t test your luck, as is the case with credit-processing limits from high-risk merchant account providers. 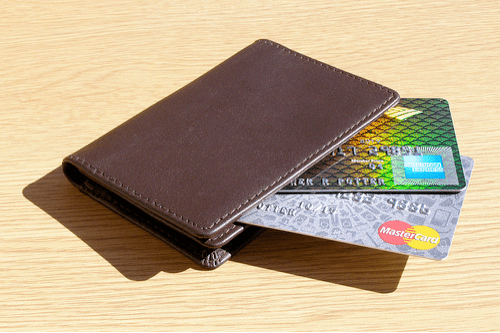 Learn how to stay within your credit card processing limits. Credit card payment processors place a cap on the number of payments they’ll process each month. The threshold they set depends on the type of business you own. For example, telemarketers, adult content vendors, and pharmaceutical retailers typically have large numbers of credit card transactions. Many traditional service providers have automatic monitoring systems that flag and freeze accounts with too many transactions within a short time. High-volume enterprises need the convenience and freedom of a high-risk merchant account. In addition to limits on volume, processors may restrict the dollar amount per transaction. The larger the credit card payment, the bigger the risk if there’s a chargeback. Limiting transaction quantity and amounts are ways for service providers to protect themselves — and their other clients — from liability. The more transactions that occur, the higher the potential exists for costly chargebacks. From a business owner’s perspective, credit card processing limits may feel too restrictive, even if that person is working with a high-risk merchant account provider that’s open to high-volume businesses. The processor, however, primarily offers a line of credit, agreeing to provide money for credit card transactions that customers may later dispute. Chargebacks, reversals stemming from a disputed or fraudulent payment, are the responsibility of the merchant, except certain cases. When merchants go out of business or no longer retain a merchant account, the processor is responsible for refunding the money to the customer. The provider, therefore, needs to weigh your needs against its exposure to risk in setting limits. That vendor counts on you to handle chargebacks, just as traditional lenders award credit to those who seem ready to pay back loans. When you complete an application for a high-risk merchant account, you’ll likely have to give an estimate of your monthly or yearly amount. You may also have to share the maximum transaction amount you expect to receive. It’s important to make an informed estimate since this information helps the processor assess the risk of working with you. Providers that offer a high-risk merchant account option are more lenient toward transaction amounts and volume, but they depend on business owners, to be honest on their applications. These estimates help the processor set terms in your contract to protect them and you from too much exposure. You’re in business to grow and make a profit, so you want plenty of sales and revenue growth. If you suddenly find that your products are connecting with consumers, you may be tempted to keep accepting credit card payments, even after you’ve hit your limit. You may also run into difficulties resisting one customer who places a large order and wants to pay with a credit card. Even if the amount of this one ticket is higher than your per-transaction limit, you may hesitate to turn down the order. Halting these transactions may frustrate customers, and you could lose the sales. But, you have to take the risk to keep your high-risk merchant account in good standing. Why Do You Need to Honor Credit Card Processing Limits? In the contract outlining the terms of the high-risk merchant account, the processor often states the limits. By signing the document, the business owner agrees to abide by these limits. Exceeding the cap not only represents a breach of contract, but it also raises concerns for the processor. You may not get an immediate hold on your account, but a phone call or warning email could follow. Going over the limit signals the processor that something out of the ordinary is happening. The service provider may see this unanticipated surge in volume as being risky and place a hold on your account. Don’t expect the processor to reopen the account until you re-establish trust. In the meantime, some of your money could be inaccessible, and paying your bills on time could be difficult. The first tactic for honoring your limit is to estimate the volume and per-transaction amount slightly higher than what you expect. With this approach, you give yourself and your processor a cushion between what will be usual for your business and an unexpected increase in sales. After you’ve had a high-risk merchant account for several months or one year, you may ask for an increase in your volume or per-transaction limits. This increase may give you more breathing room, especially as your company flourishes and sales grow. For instances when you know you risk exceeding the limit, tell your credit card processing company ahead of time. Giving them advanced notice builds credibility and could prevent the processor from freezing your account. If your processor knows to expect a spike due to seasonal fluctuations or a price drop, you may get a grace period. Finally, be sure to have processes in place to keep tabs on the number of credit card orders you get each month. Depending on the system you use, you may be able to set an alert that lets you know when you’re approaching the limit. This kind of proactive step ensures you won’t find a sudden hold on your account. While you may not like credit card processing limits, you can understand the purpose they serve to protect you and the payment processor. When you abide by the contract terms, including the limits, your company will establish a track record with the processor of being reliable. This reliability could offer enough support if you want to request and receive higher limits in the future as your business prospers.